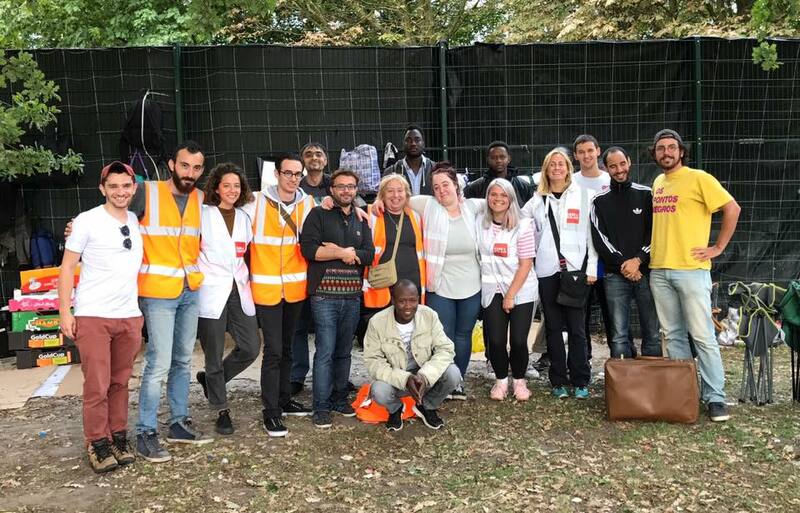 Today our lovely team of volunteers drove to Brussels to celebrate Eid with the 600 refugees displaced there. They took 600 care packages that were carefully made in the warehouse over the last two days, filled with essential items such as toothbrushes, toothpaste, spray deodorant, wet-wipes and rain ponchos. We made a special effort for the Eid holiday going through our stock to find the best new tee shirts and adding in dates, nuts and coca cola to make this visit a bit special. We also teamed up with the amazing refugee first aid & support medical team who spent the day attending to a variety of illnesses and injuries. And as usual the refugees were happy to see the the much loved generator to charge everyone’s phones. In the evening Calais Refugee Aid served a hot meal with fresh made cakes in the park to round off a lovely day. All of us here at Care4Calais hope you have a wonderful time celebrating Eid, but please remember the struggle of the refugees celebrating Eid with us today in Brussels and those across the world. Find out here, how you can volunteer or donate.